Irrespective of one’s political affiliation or lack of allegiance to both major parties (democratic or Republican); we all witnessed the ability of social networking in spreading the presidential debate messages from both Obama and Romney. Statistics showed that the first presidential debate was tweeted 10.3 million times which made it the fourth worldwide trend (fourth most discussed topic worldwide), Facebook also witnessed approximately 20 million comments pertaining to the debates, during and after the first session. These statistics show that social media has come to stay and its influence cannot be overlooked by both the elite class, middle classes and the middle man. But how important where the numerous tweets, direct messages, status updates and comments on the debate? This we would try to answer below. As a Campaigning Tool: Before the debate, both major parties had used their social media accounts (mainly Twitter) to raise awareness on their portfolio’s, answer numerous public questions on where they lie regarding some important issues (health care, defence etc) and to drag unconvinced voters into their camps. It was also noted that the non-major parties such as libertian, green etc. where not left out in the social media frenzy for they maximized Twitter and Facebook to send their message across. 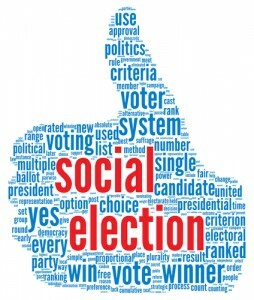 The use of social media was necessary for smaller parties due to the stature of their minimal advertisement budgets when compared to that of the big two. After the debates, both major parties still took to Twitter and Facebook for addressing the points their candidates made while debunking the claims of the opponents. Dissemination: Social media sites which is been used by virtually everyone with internet access accelerated the spreading of the debate messages from both candidates and even life feeds of the debate where shown on YouTube. This wide spread coverage of the debates also allowed non-elites who normally would not have a voice, voice there reservation and thoughts pertaining to both candidates. YouTube also helped those who missed the debates live due to one reason or the other, catch up with what was missed and know what their peers felt about it. Determining the Results: Most major networks such as FOX news, allegedly took into consideration views gotten from social media sites into consideration when polling recording the alleged scores of the candidates and this—in part—made Romney to be declared as the winner after convincing 46 percent of voters with his answers while Obama– the incumbent got 38 percent of the public’s sympathy. General consensus both online and offline both show that Romney aced the debates but the impact of his initial success and the vast messages spread through the social media has been diluted by political analysts who say that the road to the elections would be determined by numerous factors outside the presidential debates. Finally, the use of social media monitoring networks in elections has come to stay and this would go a long way in giving your average Joe on the street a voice.